Details on content shown below. Poetry from Paul Stephenson, Jenna Clake, William Griggs, Meliz Ergin, Tim Conley, Beth McDonough, Sarah Marina, Kadie Newman, Georgie Newson, Steve Kendall, Ailsa Holland, Jake Capmbell, Jessica Mookherjee, Melanie Branton, Martin Malone, Richard Lewis, William Stephenson, Cheryl Pearson, Natalie Crick, Caroline Stewart, Bethany Rivers. 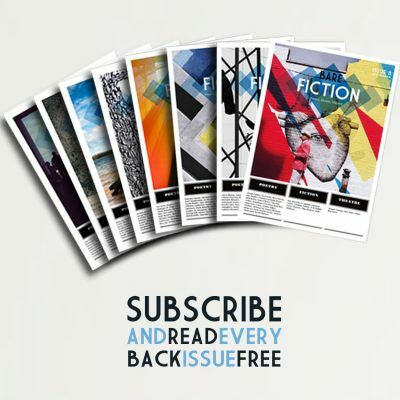 Fiction from Wendy W. Ralph, Eluned Gramich, Christina Sanders, Sarah Brooks, Clare Weze, Julia Ballerini, Jay Merill. Theatre from Michaela Jeffery, Marcelo Dos Santos. 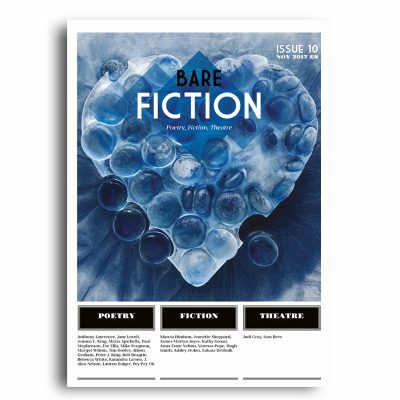 Letters to Brazil by Paul Stephenson Joint First Prize in the Bare Fiction Prize for Poetry 2017 Letters to Brazil won Joint First Prize in the Bare Fiction Prize for Poetry 2017, as chosen by Wayne Holloway-Smith. 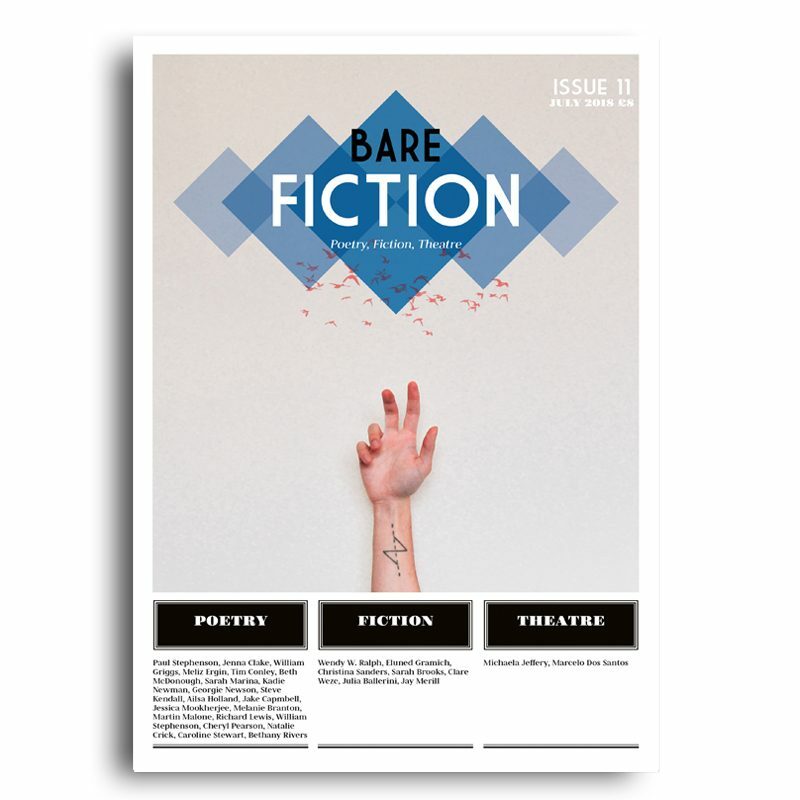 This poem was first published in Bare Fiction Magazine Issue 11 – July 2018. Wooden doll, total being by Jenna Clake Joint First Prize in the Bare Fiction Prize for Poetry 2017 Wooden doll, total being won Joint First Prize in the Bare Fiction Prize for Poetry 2017, as chosen by Wayne Holloway-Smith. 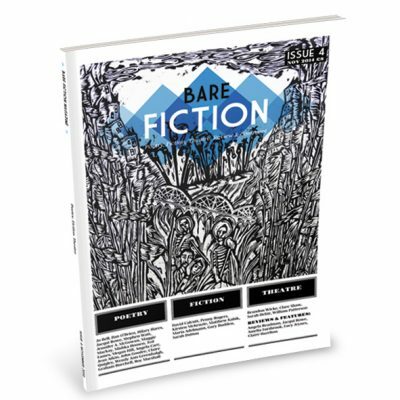 This poem was first published in Bare Fiction Magazine Issue 11 – July 2018.